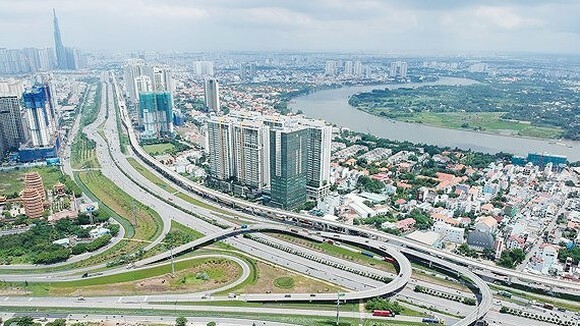 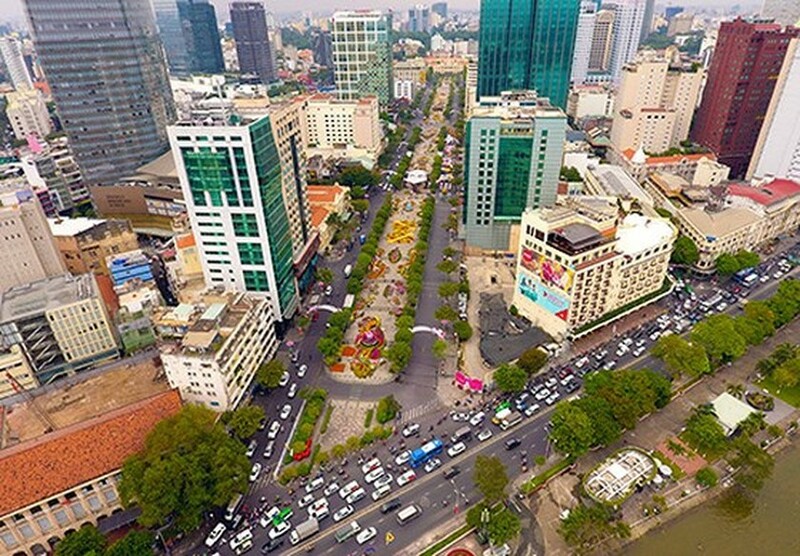 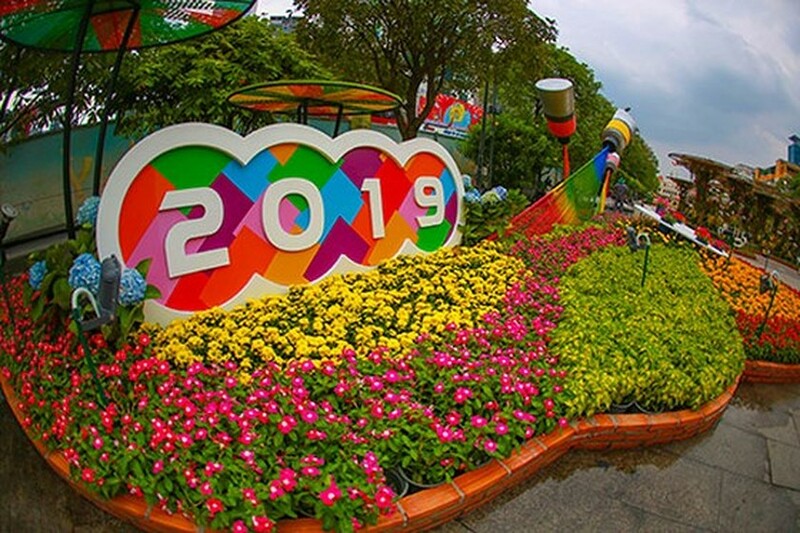 The much awaited event of the lunar New Year in HCMC, Nguyen Hue Flower Street 2019 will open for the public from December 28th on the lunar calendar to the fourth day of Lunar New Year, which falls on February 2nd and 8th, 2019. 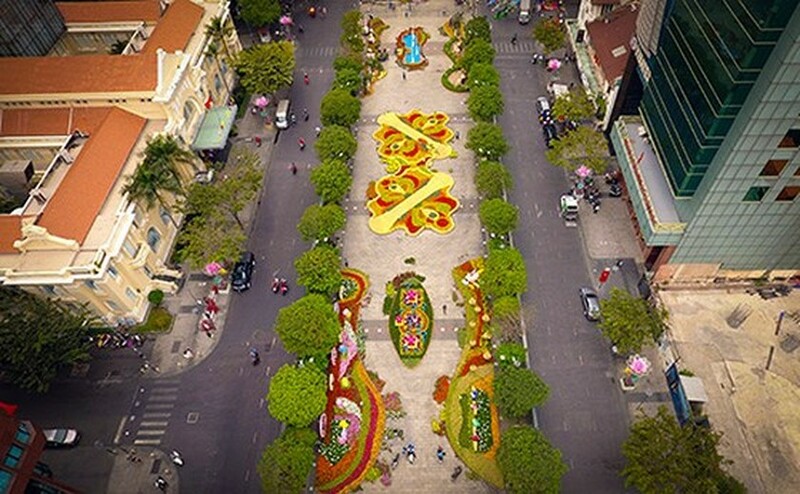 The floral street stretches over 720m, decorated with more than 130,000 flowerpots featuring over 150 different species of flowers under the theme “Ho Chi Minh City- Steady Rise” including three topics of Ho Chi Minh City-a characteristic city with sentimental attachment; Smart City and Creative Urban Hub. 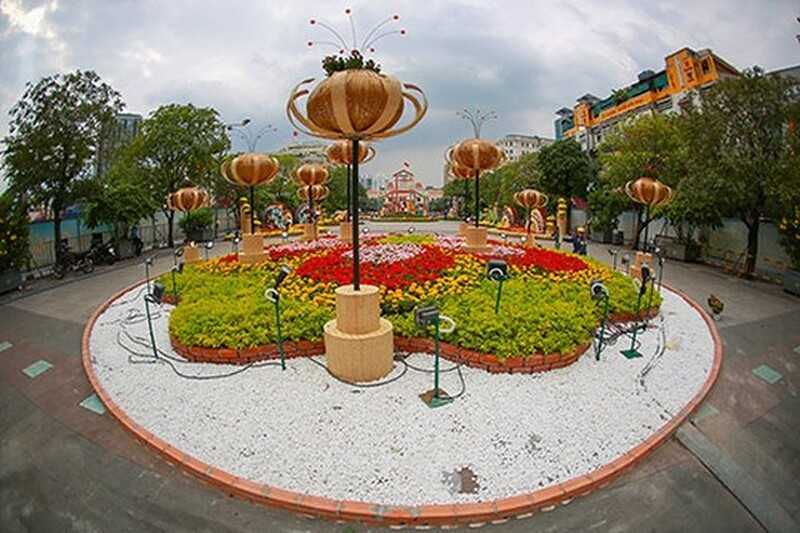 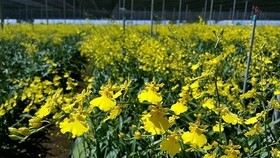 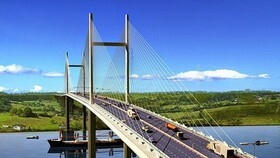 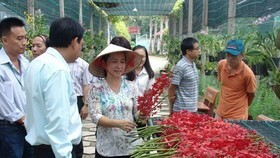 The annual flower show is one of the events receiving the highest expectations of people during Tet holidays. 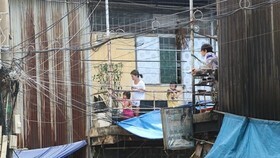 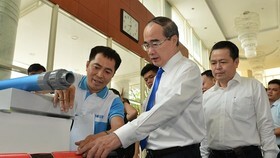 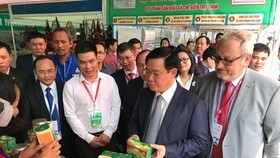 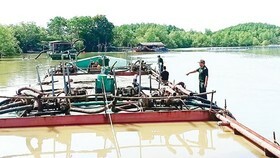 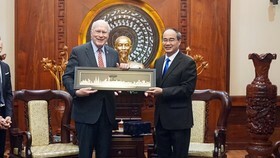 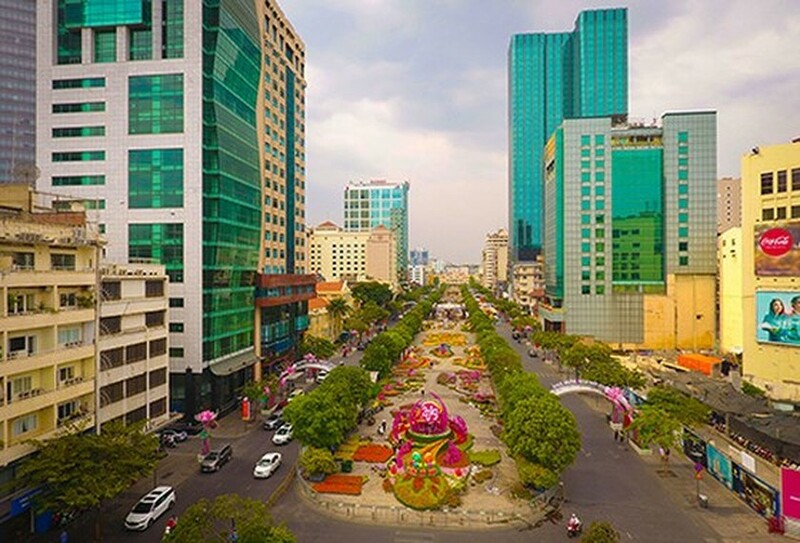 The event is aimed to highlight Vietnamese Tet culture and has been held for 16 consecutive years, attracting more than one million visitors each year. 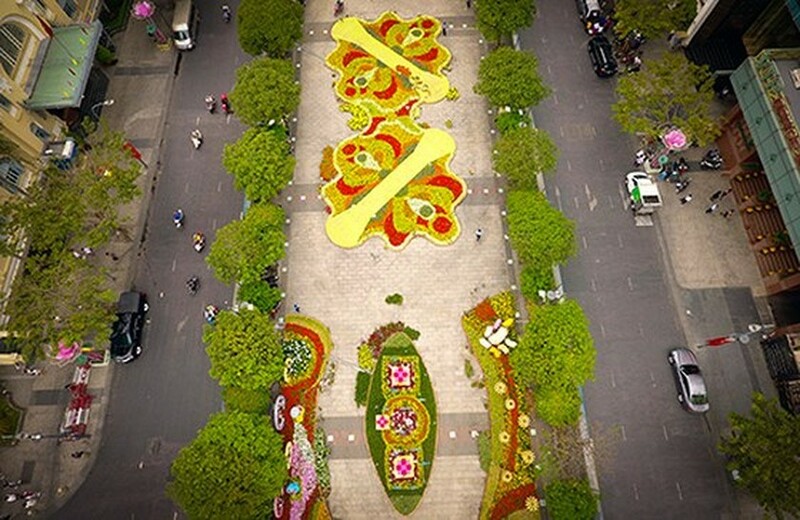 The floral street stretches over 720m. 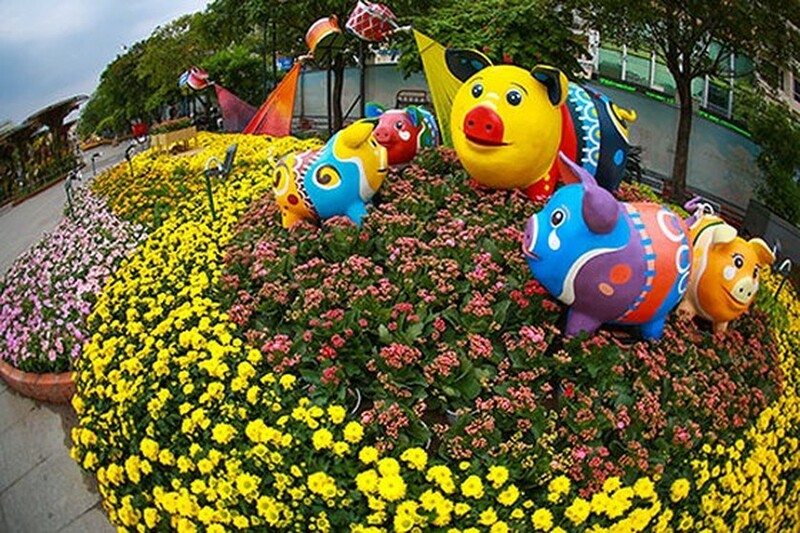 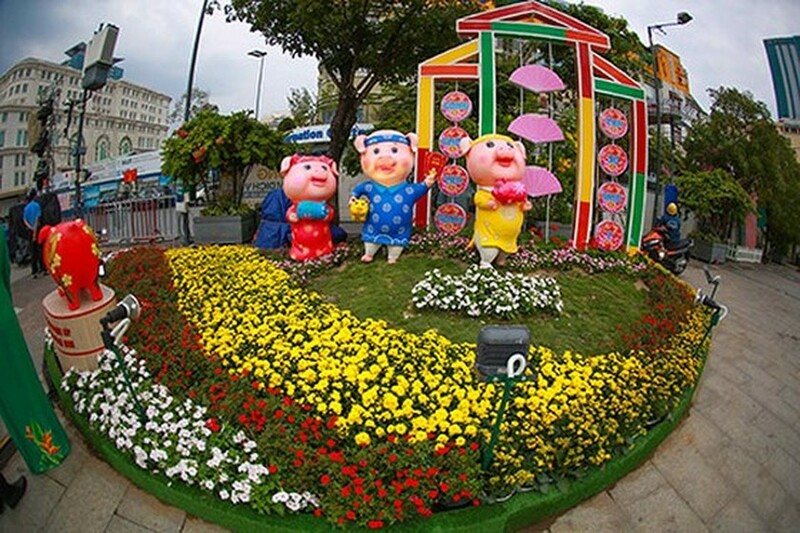 Friendly, fun-loving and optimistic pigs are chosen as the sacred animals of Nguyen Hue Flower Street 2019. 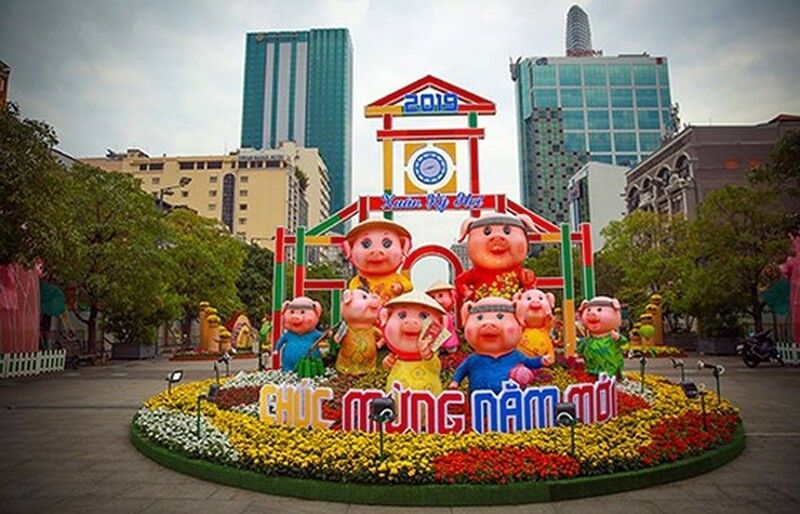 Six big clay piggy banks will be placed in the flower street for visitors to put money in the jars to raise fund for underprivileged students.